Of all the types of painting, watercolor is probably the most misunderstood and intimidating. With a little knowledge and good supplies, even a beginning art student can create beautiful watercolor paintings. The most important thing you can do to be a successful watercolor artist is to buy quality paper. Good brushes and quality paint make a difference, but you can't achieve a great painting without the right paper. The color dries lighter then when it is wet. The paint will dry too quickly in hot and dry conditions. Paint will dry much slower in humid conditions. Watercolor is considered the purest of all paints because it is almost pure pigment giving it to have a luminescent quality. Each color has 1 of the following qualities. Watercolor brushes can be made with natural or synthetic bristles. Natural brushes generally last longer, hold more paint, but are more expensive. 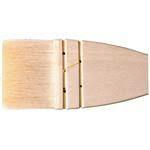 Synthetic brushes are more cost effective, but don't last as long and hold less paint. Waterolor brushes are soft. The best brushes are called Kolinsky Sables and are made from the tail of a mink found in Kolinsky, Russia. These brushes can be expensive, but will last forever if you take care of them. There are other types of Sable brushes that are more cost effective, but still have good qualities. Watercolor paper is made from cotton or linen fibers rather than wood pulp like most paper. This makes the paper super absorbent so manufactors add sizing so that the paint floats around the paper initially before it is abosorbed. Sizing is a water resistent substance generally made from cellulose. Archival or PH Neutral - Paper made slightly alkaline or with a neutral pH so that it will not yellow and turn brittle with age. Sizing - A chemical added to control a papers absorbency. It keeps the paper from totally absorbing paint so you can create sharp edges. Tooth -The surface feel of paper. The more tooth a paper has the rougher it feels to the touch. 1. Mix your own blacks rather than using black watercolor. Black straight from the tube comes out flat while a mixed black has a rich depth. 3. Do not over mix colors on your palette. Let them blend subtly on your paper. 5. Do not combine more than two colors to prevent muddy colors. CREATING LIGHT VALUES - To create values in watercolor, water is added to the paint to lighten it. White watercolor is not used to lighten colors, because is dulls the intensity of the color. LIFTING - Removing or lightening watercolor paint. This works on dry or wet paint. Lift wet paint with a clean brush. Use a wet brush to lift dry paint. Paper towels can be used to soak up wet paint. Staining colors may leave a light stain on paper. WET IN WET - Putting wet paint into wet water. Spread water in an area on your paper. Dip your brush in paint and tip it into the wet area allowing it to spread. GLAZING - Painting over a dry layer of color with a second transparent color to intensify the color. GRADUATED WASH - A color that fades as it moves down the paper. Paint the darkest value at the top, dilute the brush with water and gradually fade the color to a lighter value. There is almost be no color at the bottom. SEA SALT - Sprinkle sea salt into wet paint and allow to dry. The salt will draw the color to it and leave speckles of color when brushed off. RUBBING ALCOHOL - Sprinkling rubbing alcohol into wet watercolor creates a uneven, interesting effect. Use the 91% solution and not the more common 70% for the best results. DRY BRUSH - Dragging the tip of a mostly dry brush across the paper. Remove most of the water from the brush before dipping it in the color & then brush it across newspaper or paper towels. 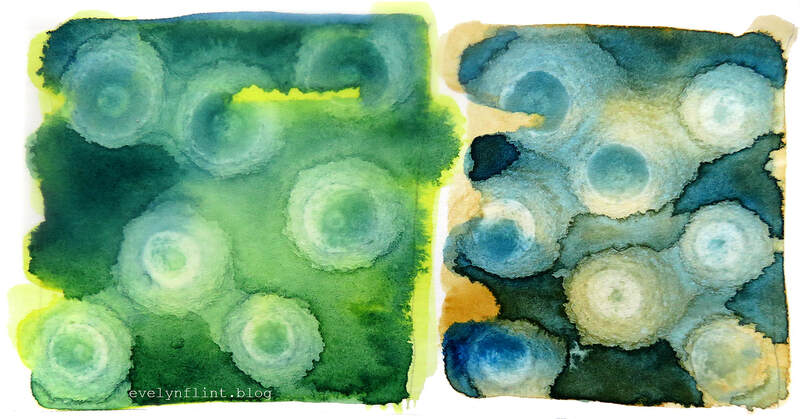 SPONGE - Dip a small piece of sponge into watercolor and use it to print things like tree leaves or clouds. 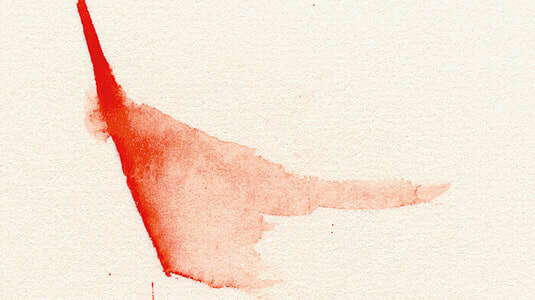 BLOTTING - Use a paper towel to blot areas of wet paint. This is great for adding texture, shapes, or absorbing paint that is too dark or in unwanted areas. BLOOMING - Mixing 2 colors on very wet paper. Touch the paint into the water and it will blend and spread. It can also be manipulated with a paint brush. PULLING - Dragging a clean wet paint brush through a saturated puddle of color. As you pull the brush, the color will fade out as it moves away. This is a great way to create gradation for a 3 dimensional look. SPLATTER - Flicking paint on to the paper surface creating tiny marks. Mix a puddle of color. Lighter values don't work well. Dip a paintbrush (old toothbrush) into the color. Gently tap the brush on your finger or use your thumb to slide across the bristle to flick the paint. Splattering on a dry surface creates defined splatter while splattering into wet paint softens the splatter.